We picked all the finishing materials for our new-construction home in one day at an eight-hour appointment set up with a selections specialist at our builder’s offices. WHEW! It was crazy, but we were so glad to have everything done in one shot. Out of everything we decided on, the thing I was most excited about was probably the simplest—the subway tile for our kitchen backsplash. 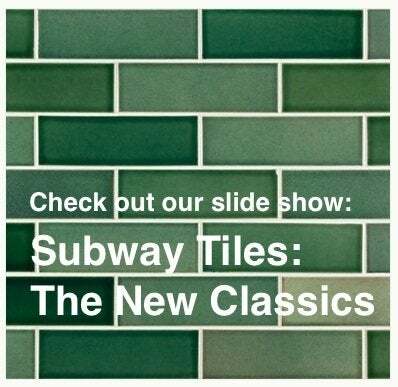 Subway tile is most commonly recognized as the 3 x 6 inch white ceramic tiles used on the walls of the New York City subway in the early 20th Century. It’s also found in many bathrooms in NYC apartments from the same era—and I lived in a few. The minute I saw it, I knew I had to have it. It’s not flashy. It’s not expensive. It’s nothing special really—unless you lived in New York for 20 years and viewed it every day as the steady, unassuming backdrop of your daily comings and goings and a calm counterpoint to the city-crazy routine; then it feels like home. Which is why I was so enamored by it. Our selections specialist recommended the almond color, as opposed to white, and it looks great with the granite and cabinets we chose. Subway tile isn’t just plain-Jane-white anymore. It comes in as many colors as you can imagine, and in different textures, as well as in glass, which is particularly popular right now. – Its clean lines can bring a contemporary look, rooted in tradition, to any space—be it a backsplash, a bathroom, or a fireplace surround. – Because of its simple and uniform pattern, subway tile is a doable DIY installation for beginners. And there are so many design possibilities. 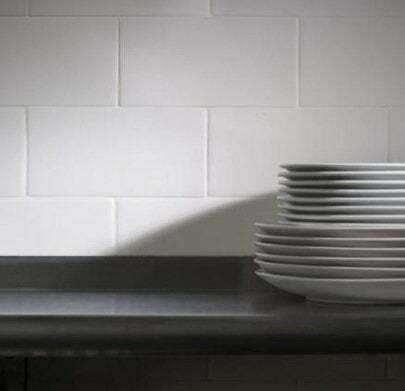 Subway tile can be installed in the traditional horizontal pattern, but also works beautifully in vertical, herringbone and other patterns as well. – It provides a great canvas for borders, accents and mosaic listellos; its simplicity enhances the decorative appeal of neighboring tiles. 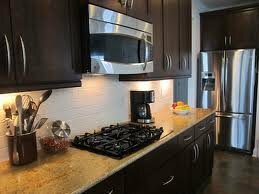 – Subway tile is inexpensive! At $3 – $4 a square foot, you can make a space really beautiful without spending a lot of money. – Choosing a grout color that matches your tile closely will give it a uniform, sleek look. Contrasting colored grout will make the pattern punch and stand out. Whatever tile you choose, take the time to apply a grout sealer (inexpensively picked up at a home improvement or hardware store). It’s not hard to do and will be well worth it in the long run, making regular cleaning and maintenance much easier. I love my subway tile and believe I still will in ten years. It’s a classic look that blends well with the rest of our contemporary finishes. And it really makes my kitchen feel like home.